February 2017: They went on a date to the Super Bowl. 2. February 2017: They went on a date to the Super Bowl. The couple were first seen holding hands in public during what appeared to be a date to the Super Bowl. 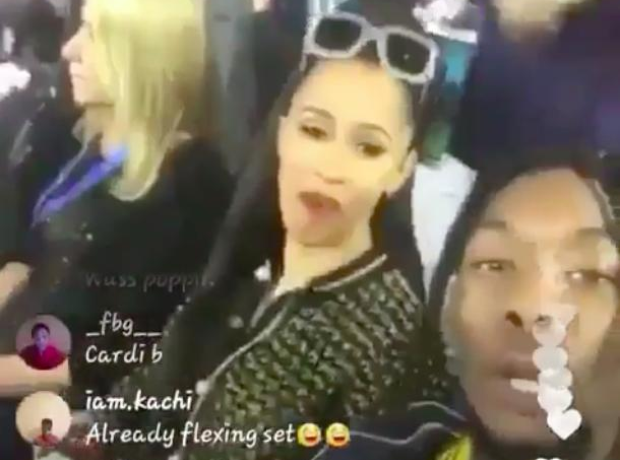 Offset started filming a livestream on Instagram in which Cardi could be seen sitting next to him, further fuelling relationship rumours.